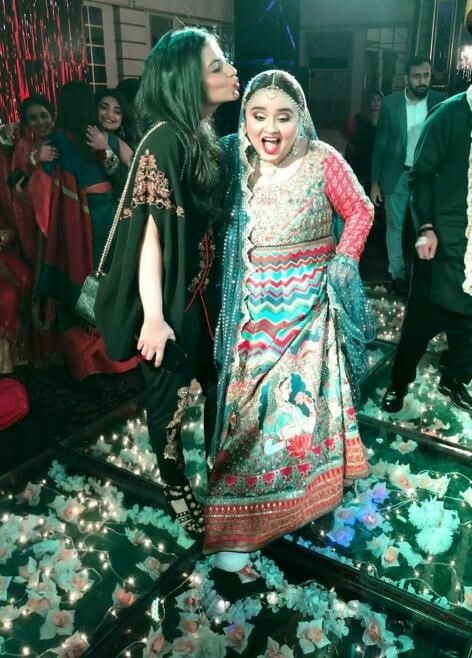 Comedian Faiza Saleem jumped on the wedding bandwagon and that too with a bang. Faiza Saleem is making news and trending on social media why. Because she broke all the odds. Promising herself that the wedding she would have most fun in will be hers this girl was not stopping by what others think. Dancing away in sneakers at her mehndi she did make a pretty bride. Faiza saleem born in Karachi spent majority of her time in Germany. The youngest of four siblings she took her bachelor degree in LLB from Shaheed Zulfikar Ali Bhutto Institute of Science and Technology . Later she worked at a public policy think tank where she was head of the legal department. Starting off with Pseudo Burger Diaries she made comedy her career using comedy as a platform to address various societal ills. Breaking stereotypes Faiza channeled key concerns of women through comedy. Initiating Pakistan first all girls comedy troupe The Khawatoons there was no stopping her. It is through comedy that she talked about topics like body shaming to setting code of how girls should behave. What is worth praising is the fact that she did not limit herself to just addressing the issues but actually lived up to and beyond everyone expectations. Happy Brides are the Prettiest Brides this statement stands true for the Rockstar Faiza. Paying no heed to what others might presume of her dancing away or her being plus sized her confidence added onto the wedding glow. She spoke about her believes on marriage on her Instagram. I had decided to have the most fun at my wedding. I asked my mom for her approval and after that I didn’t really care ke log kya kahenge. I added conditions to my nikkahnama (based on a mutually respectful conversation with my husband to be. I hosted and performed at my shadi comedy night and had my comedian friends roast me (maybe that was not the best idea). I entered dancing with Abuzer and friends at our mehndi and danced throughout with my sneakers on. As women we are expected not to be happy at our wedding. But why not she wrote. I am marrying the love of my life everyone who matters is happy for me or should be happy for me. Then why should I let nobodies dictate when where and how I should express my emotions. If someone does not like it then too bad too sad. Tomorrow I will marry Abuzer iA and I pray that we continue to be happy together because you know what Happy brides make everyone else happy too. Allhamdullilah. Please send us prayers and good vibes she added. 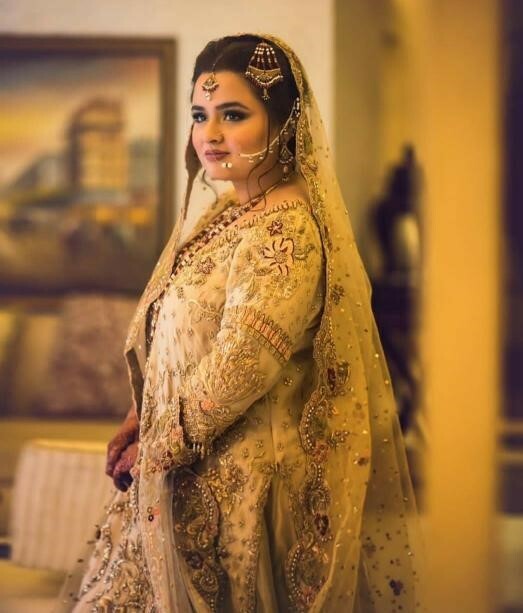 Unlike a quintessential bride Faiza attended all the events with style. Breaking all the odds be it her nikkah bridal shower and Mehndi she was nowhere close to being the traditional shy bride worried about her wedding events. After Deepika Priyanka and Aiman it is Faiza that has given us some serious bride and wedding goals. Lets see what more surprises await us this year.